Do you need to install an system in your house? Maybe you would like to do something beyond having a few air-conditioning units in the windows. Numerous homeowners will call a professional who can install a central air and heating system that will keep the house cool during the summer and warm during the winter. The information that follows will demonstrate to you why the best decision you can make to meet this objective is to work with our contractors. We able to install a broad range of equipment that has been designed to change the temperature inside your house. 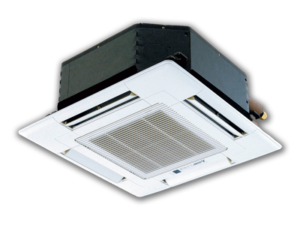 The equipment can be used in corporations and large businesses as well, and has been designed for maintaining the air’s equilibrium inside the building that it’s installed in. It can be quite inexpensive. For single family homes it can cost just a couple thousand dollars, while a building may cost hundreds of thousands of dollars. It’s a good idea to compare the various companies that are available and what they have to offer when it comes to this kind of service. As you are doing this, look for a reputable business offering great pricing. One of the main reasons individuals call an HVAC company is to get an air-conditioning system installed. There is a wide range of various types, including ones powered by propane, gas, electricity, and those transferring thermal energy. They all can be installed within a fairly short period of time. However, it is recommended for you to get the project start before summer approaches. That will provide you with enough time to assess the various companies that are available, get several bids on the cost, and finally make the best decision. However, you might also want to call one of the businesses that performs repairs on existing HVAC systems that you are having problems with or had installed recently, or an older unit that came with the building or house you have purchased. 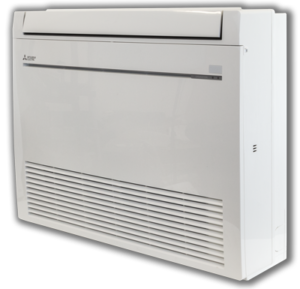 The AC unit giving out is one of the more common problems you can have with any systems. There are a number of reasons why it can happen including problems with the motor, coolant or filter issues. At times it isn’t a mechanical issue but relates instead to the ducting system transferring cold various areas. Over time blockages may form and need to be cleaned. However, most of the problems are usually something that is electrically related. There are also a couple of other reasons for contacting a company that performs air-conditioning fixes. For example, if you didn’t have a backup system for keeping your workers or family cool. For installs, choosing a Performance Based Air & Heating company that is recommended by so many people is something you can’t really can’t go wrong with. Whatever AC company you contact should have plenty of experience in handling all of the major issues that relate to air-conditioning units, no matter what their size is. If you had one installed recently, you could just need to contact the company that performed the installation for you and make use of the warranty. A majority of companies will give you six months minimum of parts and that you aren’t required to pay for, which allows you to get your new system up and running again. However, in a larger building the problem might be with the furnace if it relates to its heating system. It can take a fair amount of time to an older furnace. Many parts might not be readily available. If it is a newer system, it can often be repaired quickly, especially if they were constructed recently, and require less than one day in order to get things up and running again. Typically a furnace will last for 10 years or longer, assuming you are using one that has has received lots of positive feedback from actual customers. You’ll want to select a company for the installation that uses only the finest systems that are available and comes highly recommended. To get an unit installed, you will need to hire a professional that operates in your local area. As previously mentioned, the time frame you need to take into account is how soon it is going to be before the hot summer months are here. For example, in the northern hemisphere, that would mean contacting businesses in late February, which would allow you enough time to obtain estimates and get a company started on your project. It would give you enough time to get everything installed and functioning, before the months of April and May. Companies are also able to perform on any kind of and unit. It is also recommended to have them perform maintenance on a regular basis, to ensure that small problems don’t turn into larger and very expensive ones. A majority of websites out there will say they provide services, which allows you to quickly choose one. You should always obtain estimates from every company you locate since this can end up saving you hundreds of dollars in costs. Whenever your system breaks, whether you have a central or old-style baseboard heaters, the that you call should know how to repair everything exactly so that it functions properly once more. At times it might take a couple of days to order parts if you have an older style unit. Simple heater repairs can be performed as well. Unless you want to buy a new system, you may want to consider having the professionals that perform take a lot to see what the problem is. It may be something simple like a circuit breaker not working right, or it could be a major failure inside the system. You can talk about the particular kind of heating system you own over the phone. They will then let you know when they can be out to figure out what is wrong. It may also be a good time to ask about having an unit installed if you need one. If having an AC unit installed is something you really need, you can get one of these kinds of professionals to do it. If you have a large structure, it is strongly recommended you get a central air unit since purchasing individual AC units will cost a lot more. Another thing that is recommended is that you think about installing both central air. At times they can provide you with a much better deal when everything is installed at once. They also can use the kind of equipment that powers both the and throughout your home or facility. This is the top pick for many individuals upgrading from window-based units and simple since they are a lot easier to operate. Some individuals still burn pellets or wood, and by switching everything to a system that a thermostat controls, it can save you lots of money and time. You will need to call contractors in order to receive estimates, however the end result will be to get exactly what is needed in order to keep constant temperatures inside your house, as long as a competent performs the work. In most cases, these company have decades or years of experience. The combined experience, in fact, of the company owner, in addition to all employees may be several decades worth, which will help to ensure you receive the best service possible. They can work an estimate up for you in terms of how much it is going to cost to have everything install, even if you need to have a furnace as well. 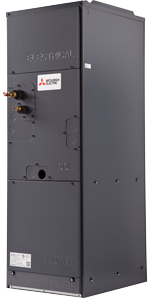 Once you have decided to have a furnace installed, it is likely this decision is based on having a larger facility like an office building or school. It might be mostly an economic decision, and business owners tend to be motivated to consider this particular option due to the reliability factor that is associated with modern furnaces. After you receive all of your estimates, you will then be able to make your final decision and select the you think can do the best job for you. Your final decision will be the result of taking into consideration the amount of money that is being charge, how long it is going to take, and the kind of equipment they will be installed. If you just need to have a unit, you can take advantage of this option. There are sometimes sales available form various contractors which can help you save thousands of dollars. You might also be able to receive personal recommendations from business owners you know, or family member or friends that have used a good company recently that can assist you with an unit. Spending some extra time searching for the leading air-conditioning company for installations and repairs really does pay off. You want to choose an AC company with a good reputation within the community. It should be a company that has a proven track record in being able to perform good work at an affordable price. Whether you select one of these types of businesses for installing a new central air system and ducting, or a heating system, you can decide which is going to work best for you based on the estimates you get. For all of the reasons above, you should strongly consider called a company that has an excellent reputation. They should be well known for their excellent service, low prices and the guarantee they provide when doing the installation so that you know it will last. They also can perform on your air-conditioning and units. They will definitely do their best to meet all of your needs. After they have finished the work, you will definitely be happy you called a company, which is a business you can definitely trust.